Tonight, we had Papardelle with Ragu alla Bolognese. And yes, Andrew made it. It was unbelievable. * I might have had seconds. And I might have had another bite or two when I went to put it away. But bragging about how well we eat at Chez Scherer is not the point of this post. The point of this post is consistency. See that pot up there? Yes, that one. 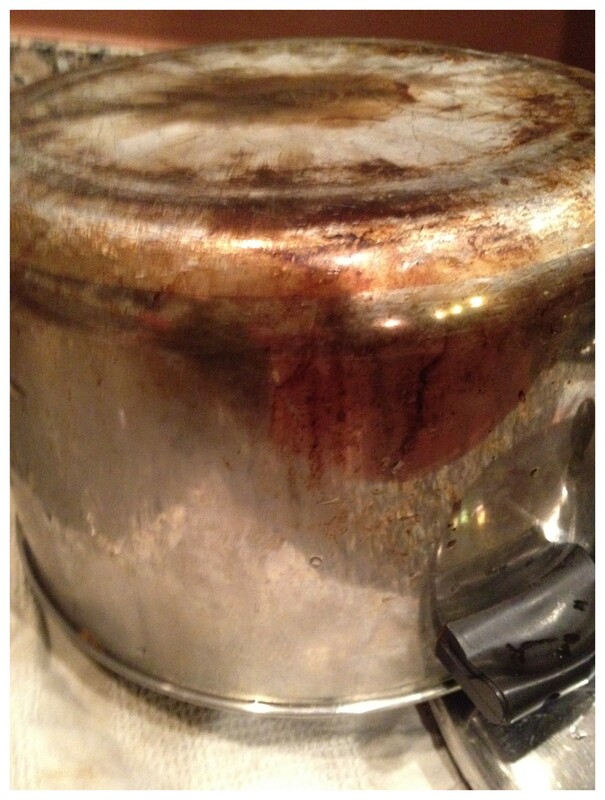 That 5 quart Revere Ware pot? That was my mom’s. I don’t remember why she gave it to me or when, but I’ve had it for a long, long time. Maybe she gave it to me when I got my first apartment out of college with the dream that I’d learn to cook? Hard to say. But what’s not hard is remembering cleaning that pot after she made us spaghetti and meat sauce (and what’s that except Papardelle with Ragu alla Bolognese without the fancy name?). It was my job to clean up after dinner when I was growing up. And yes, I probably had a bite of the getting-cold-ish spaghetti when I put it away then, too. That was always my favorite meal. I can see my mom in the kitchen making it and I can smell the house as the meat sauce cooked. Sometimes, it stuck a little to the bottom of the pot and I had to scrub a little. We had those yellow webby scrunchy kind of sponges and Joy dish soap. Funny, I don’t use either of those now. So tonight, as I washed the pot I got a flashback. *Note: the only better Bolognese I’ve had was made by our dear friend Bob Drake. We’ll never forget him or his sauce.